When I started this book, I really didn’t know anything about Catherine de’ Medici and had only previously read 1 book by Plaidy. I picked up this book thinking that it would have more about Italy in it, seeing as she is a Medici, mistake! It’s about France! I found myself immediately sucked into the world of Catherine, Alessandro, and Ippolito (her relatives). Not too much time was spent on her life in Italy, which I would have liked to have seen a little more of, but what was included was great. 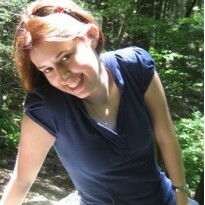 Plaidy chooses the details that she includes carefully. The upbringing and emotional stress that Catherine had at the hands of her Aunt and the Pope really molded her into what she would become later in her life. The bulk of the book takes place in the French Court. Catherine at first is the wife of the Dauphin, who eventually becomes King. Here at the French Court, Catherine faces more emotional stress from her husband, Henry II, and his mistress, Diane de Poitiers. She is only Dauphiness, and later Queen, by title, facing humiliation everywhere she turns. But Catherine finds strength and a way to survive this torture. She saves up every slight against her to use for revenge later. Despite everything that I have read about Catherine from outside resources, this book has made me feel for her. I don’t think that she was an evil woman. She was a woman who was hurt, over and over again. I can totally sympathize with her want to seek revenge on those who hurt her. She had no one to turn to and could truly only rely on herself. I am not condoning her actions, but I can understand her motives. I really did enjoy this book. I found myself being unable to wait until the next time that I would be able to pick up the book and read. There were 2 minor things that I did not like about this book. The first thing is the 3rd person omniscient point of view. One sentence you will be in the head of Diane and then the next sentence you will be in the head of Catherine and then a few sentences later in the head of someone else. I personally prefer a little more distinction between my narrators. The other thing that I had a problem with was the lack of dates throughout the book. There was almost no sense on time – you could jump 10 years between chapters. I had to use my knowledge of the time period and other royal houses to piece together what decade or period of time I was in. It made things a little awkward from time to time. 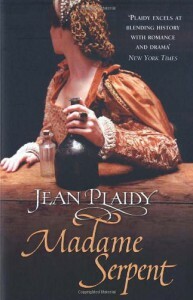 Jean Plaidy also has written many other historical fiction books under several pen names. The other books in this trilogy are The Italian Woman and Queen Jezebel. This review is of a book from my personal collection and is based solely on my reading pleasure. Review originally posted at The Maiden's Court on May 29, 2009.